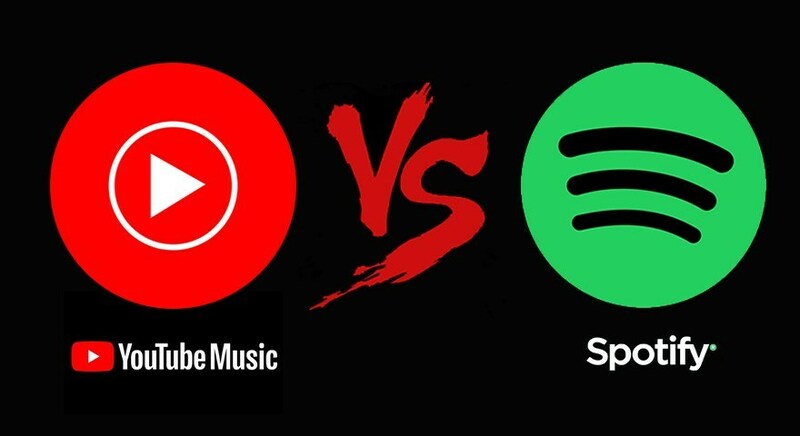 Home Internet Spotify India Vs Youtube Premium ? Which One is Best ? Spotify India Vs Youtube Premium ? Which One is Best ? : As we all know that music craze is growing in India day by day. People no longer watch videos as they don’t have an ample amount of time to watch it. Going by that logic Spotify when launched in India became a great hit. Though there is much application which is currently used by users. Some of the application which is widely used is saavn, Gaana, and Hungama in India. On the other hand, seeing the demand for audio music in India. Youtube has come up with a premium version. In the premium version, you will get the whole bunch of features which are quite overwhelming. Some of the features of youtube premium include playing the song in the background. In this blog, we will be talking about some features of Spotify which are not present in youtube premium and vice versa. Lets first talk about Spotify. Spotify consists of millions of song in its library. It is no.2 in the audio streaming world only after Pandora. You just need access to the internet to listen to songs. You can also categorize the music according to your taste. How many songs are in Spotify’s library? There are more than 30 millions songs present in the Spotify library. You will find the whole bunch of music from a different time on Spotify. There is a pro part as well which is having some extra features. Other than that it is extremely free for users. There are some limitation which is there for the users if they are not a pro member. A paid subscription is $9.99 per month, which gives you total access to everything Spotify offers. You can check with Spotify to find it if it’s available for you. Spotify is supported by every device within reason. However, some of the Apple devices which support Spotify are given below. India is a key market for someone like YouTube or Facebook. “India is where the multi-lingual music scene thrives,” said Lyor Cohen, global head of Music, YouTube, in a statement. “It’s interesting to note how Indian artists have consistently claimed top spots over the last few months in the Global YouTube Top Artists chart. With YouTube Music, we are hoping to bring the best in global and Indian music to millions of fans across India, and give them an immersive music experience, with the magic of music on YouTube,” he added. These were the words of the global head of music, Youtube. They know the importance of their service in India and hence to tackle Spotify gaana they come up with their own version of youtube which has been widely accepted by the audience of India. It does come up with a free version but only for 3 months. After 3 months you have to pay 129 rupees per month in order to continue the service. Spotify India Vs Youtube Premium ? Which One is Best ? : These are the three features of youtube premium. You will not get any add while playing the songs or video. In addition, you will get youtube music premium on which you can play the whole bunch of new songs. At last, you can watch the youtube original series and movies which will be not available anywhere in the world. You can also play the youtube video in the background if you are on premium. Spotify India Vs Youtube Premium ? Which One is Best ? : Spotify India and youtube premium both come with the whole bunch of features which are quite unique. Youtube premium is generally favored over Spotify just because it also has some additional features which are not present in Spotify. 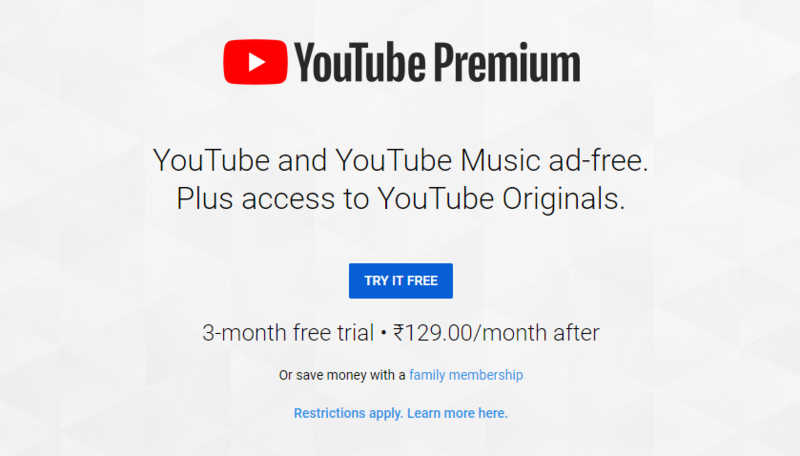 Also Youtube premium is also cheaper than Spotify and hence people generally favor youtube premium over Spotify. Though Spotify has very different library than that of youtube premium. There is a lot of diversity in the library of Spotify which you will not get in Youtube premium.